The Reno is a table with solid American hardwood rails and a perfectly arched frame which flows into its tapered legs. Offered in either Veneer or Tulipwood and many finishes. The Reno is a beautifully simple pool table. 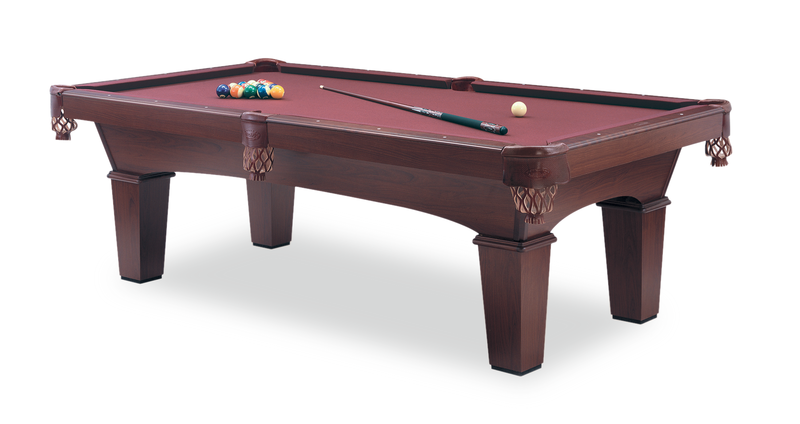 The Reno pool table is a table with a simple beauty and construction you can trust. Shown in traditional pecan on oak.